We are now a little over two years since the Solicitors Regulation Authority (SRA) began accepting applications from would-be alternative business structures (ABSs), and a little under two years since it issued the first licenses. I have a sense that some are disappointed and a bit underwhelmed by what has happened since then. In the main they shouldn’t be – the transient nature of news, I think, has made people forget just how many interesting and different legal services providers have emerged in the last two years. But from one perspective, and I will come back to this later, I can see their point. To date the SRA has licensed 233 ABSs, and the Council for Licensed Conveyancers a further 39; this needs to be put in the context of the 11,000-odd traditional firms the pair oversee and that they have been established in the teeth of a recession. Some of the types of ABS were expected – the firms with non-lawyer partners/owners, private equity investment, big brands, multi-disciplinary practices (MDPs), and in-house teams turning into freestanding practices (from Crabtree Law to BT Law), to name five. That we expected them should not diminish their significance though. Just look at that first category of non-lawyer partners, who form the majority of ABSs and in news terms, are the ‘boring’ ones that nobody bothers to report any more. But think back 10 or 15 years and the idea of non-lawyer partners in law firms was close to heretical. And the prospect of the Co-op, AA, Saga, Admiral Insurance and the Stobart Group – to name some of the brands – having legal businesses to their name was simply unthinkable. The profession is having to accept that the law, in many (but not all) respects, is just another service business. Nobody had heard of Quindell before it became the first listed company to buy a law firm, but it has been on an astonishing acquisition spree in the last couple of years where it has bought a whole host of businesses that enable it to offer an end-to-end claims handling service for insurers. The law firms under its umbrella are just another part of that supply chain. This doesn’t go down well with many lawyers, and there has certainly been some glee taken in the losses announced last year by ABS poster-child Co-operative Legal Services (forgetting also that CLS has been going since 2006 and so ABS was just part of its journey). The losses are also seen as a sign that CLS, and by extension ABSs, are failing. But I saw the results more as a sign of a business that has the wherewithal to invest and can shoulder losses because it is part of a huge group; its TV advert is everywhere at the moment. Though there are all sorts of MDPs now – particularly in financial services, but also a firm of surveyors and even a business that helps wealthy Russians relocate to London – they have not made a huge impact as yet; it may take a big firm of accountants to do that. But away from the ABSs we anticipated, there have been all sorts of others. There’s the Country Gentlemen’s Association, the Transport Salaried Staffs’ Association (together with Leeds firm Morrish Solicitors), the Community Advice and Law Service in Leicester, Richmond Chambers (the first SRA-licensed ABS without a solicitor), and the law firm redefining what it means to be a law firm – Schillings. And let’s not forget Brilliant Law, the modestly named Leeds-based outfit set up by non-lawyers with funding from a gambling entrepreneur, a fact which on its own showcases what some people think is great about ABSs, and others think is terrible. Then coming down the pipe we have local authority legal teams becoming ABSs, investment in a law firm from a not-for-profit venture capitalist (which one might have though a contradiction in terms) – and insurance giant Direct Line, whose Churchill brand last year was advertising on the radio the benefits of its legal advice helpline, rather than its insurance cover. It is surely in the public interest that ABSs have meant previously unregulated businesses, such as leading probate provider Kings Court Trust, have chosen to enter regulation. The irony of Landlord Action’s ABS licence was surely lost on nobody – originally set up as alternative to solicitors, it has become an ABS to distinguish itself from unregulated copycat services. We’ve had businesses buying law firms, from and Capita to debt advice company , and in Abbey the first example of a law firm being caught up in the wash of its . And let us not forget In-Deed Online plc, the first ABS failure. There’s one of the best-known names in the legal world, Jordans, which now has an ABS licence in a bid to move up the legal food chain from selling commoditised services such as company formation to providing legal advice and legal process outsourcing. And though we haven’t yet had a law firm going to the stock market, Slater & Gordon’s listing in Australia has provided the capital to pursue a huge acquisition programme in England and Wales. I suspect that the lack of a real landmark – like a flotation or one of the big City firms becoming an ABS or maybe a name like John Lewis entering the market – is what some people really wanted to see. This list ignores those new providers in the last two years who don’t need to be ABSs, such as Riverview Law, Stobart Barristers and Carillion, and the various technological advances, like LegalZoom, Rocket Lawyer and my personal favourite, Road Traffic Representation. To me, that’s an awful lot of activity in a very short time, and legal businesses the like of which we have never seen before. In terms of the mood music of innovation, nobody can really be disappointed by what ABS has brought us so far, although their actual impact on the rest of the profession is not yet clear. I was not convinced by superficial-looking Legal Services Board research suggesting that ABSs are more productive than traditional firms. So is there any reason to be disappointed? Well, if you are looking for something really radical shaking up the way legal services are delivered, then possibly. Most of the ABSs and innovators are still delivering and pricing in what might be termed fairly traditional ways (Riverview is arguably the most exciting model out there, I think), and we are yet to see or perhaps understand how technology – such as big data and artificial intelligence – could truly upset the status quo. But it will come. And we are just starting to peek at the future of how law firms could look, with the likes of Parabis, the Co-op and Riverview introducing new hybrid legal roles that show it is not just about having the All England Law Reports on the shelf. The pyramid is likely to become a smallish office block. To understand this better, have a read of today’s Lawyers on Demand report on the future of work in the law. I have been recently touting around an analogy that the law is like hand-dryers. Bear with me. For many years, all hand-dryers were pretty much the same and they kind of did the job, but not quite and you still ended up wiping your hands on your trousers. 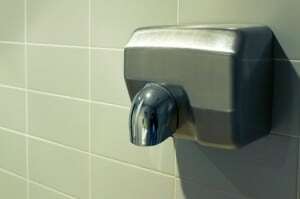 Then along came the Dyson Airblade with a radically new design for hand-dryers that does the job better, is more efficient, cheaper to run and more environmentally friendly. 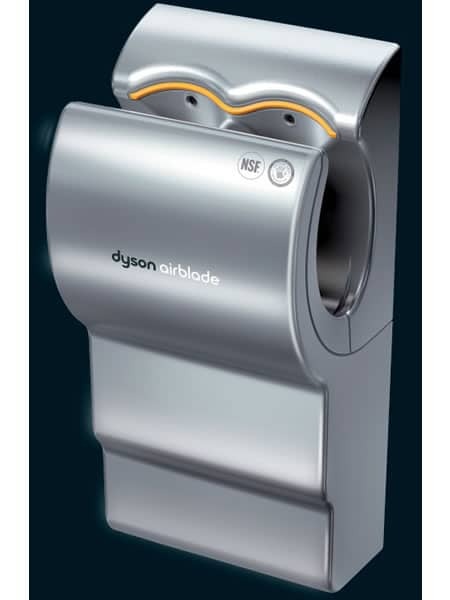 But then Dyson’s hand-dryer didn’t come about overnight – it was the product, no doubt, of years of design and development. And there are still plenty of the old-style dryers around, and they are trying to improve themselves in the face of this new competition. Whenever I give talks about ABSs, I end on a quote attributed to Bill Gates that less happens in two years and more happens in 10 years than you might think. If what we have seen in the last two years is anything to go by, the legal world of 2022 will be quite something, because surely by then we will have had our ‘Dyson moment’. How so very true Neil. Mirrors my own views, but puts them so much better! Why isn’t our name in orange – Obviously not brilliant enough! There is one name in this blog that could be the Dyson phenomenon, which as is said, didn’t happen overnight. Articles like this are supportive of innovation and new ways of working which will only result in greater competition and better offerings for the consumer. Whilst there is much to commend the new structures, it shouldn’t be forgotten that there is always the other side of the coin. Big Business has a dark side, & has a history of riding roughshod over rules & regs, especially when it sniffs money.